Sold on carandclassic.co.uk, a c1929 Model CS1 Norton. 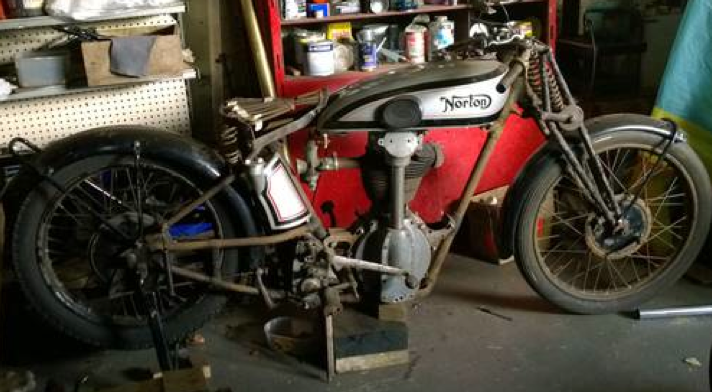 In the vendor's words: "Norton CS1 restoration project for sale. Mostly complete. Old and current UK registration documents. Known missing parts are primary chain case, magneto sprocket, oil tank filler cap, nuts, bolts, chains. £8750"